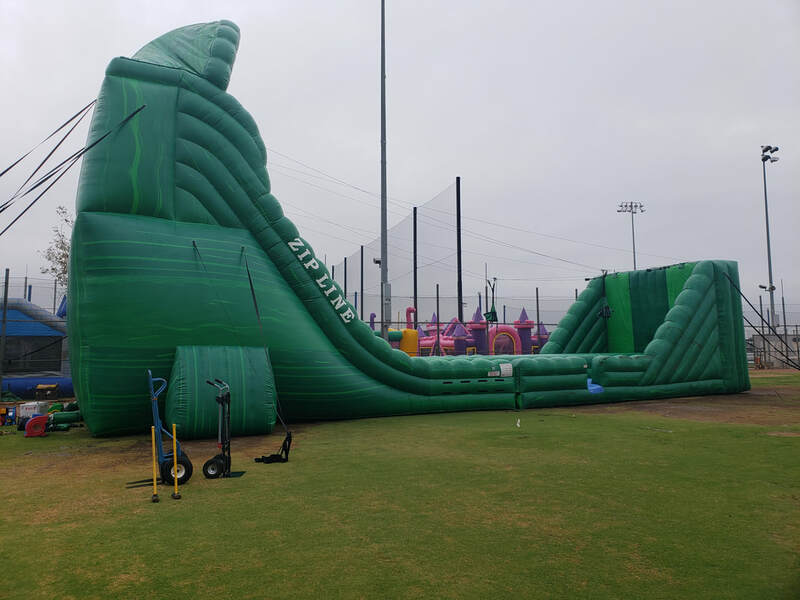 Amazon Zipline Inflatable Rental - Interact Event Productions - Corporate Event Planning at Wholesale Prices! 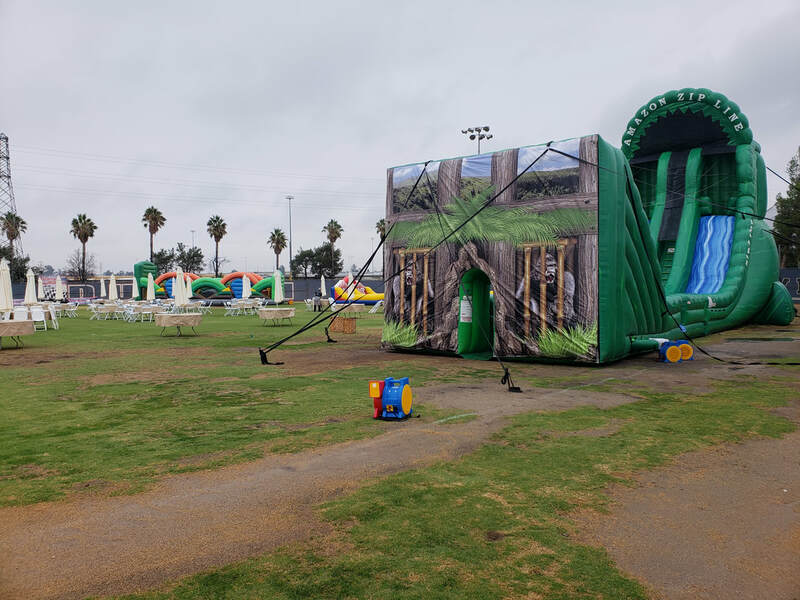 This is one of the most popular zipline inflatables that we offer for corporate and community events. This is a large interactive inflatable will draw a crowd because of it's massive size and the entertainment it offers. Take a zip through the Amazon jungle with this inflatable zipline rental that we offer for company picnics, community events, corporate parties and team building seminars. 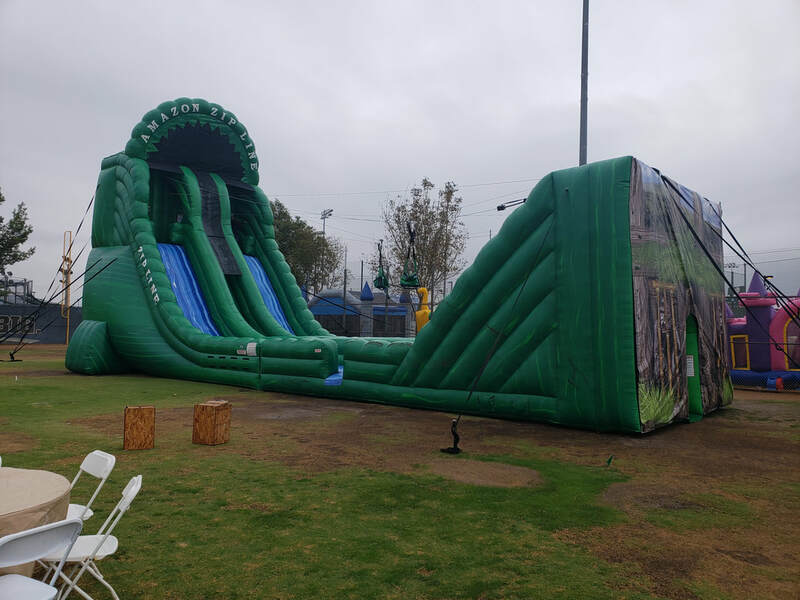 This is one of biggest attractions we offer and it's always a crowd pleaser, guests are so excited when they pull and see this big inflatable zipline at the event! 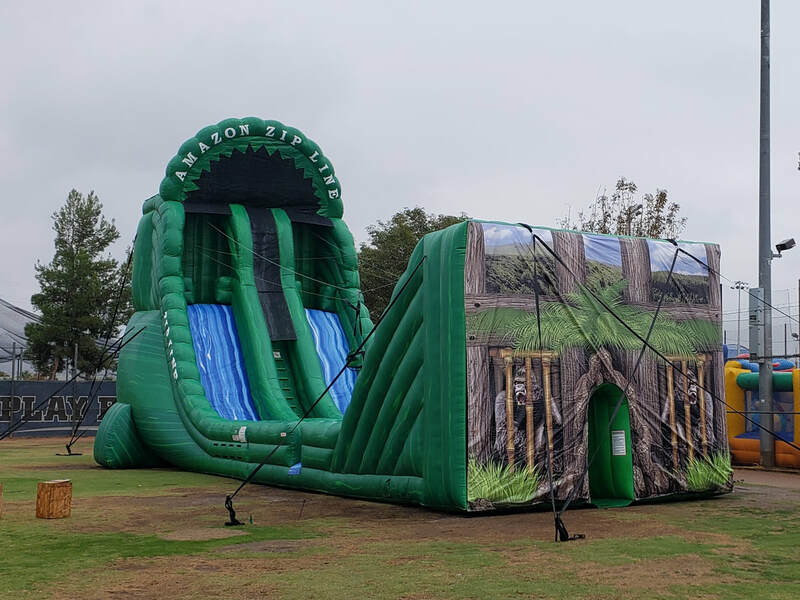 This gianormous inflatable zipline is the perfect company picnic entertainment because it's offers thrills and entertainment for everyone. This extreme ride will have guests running across the lot to get a piece of the action. 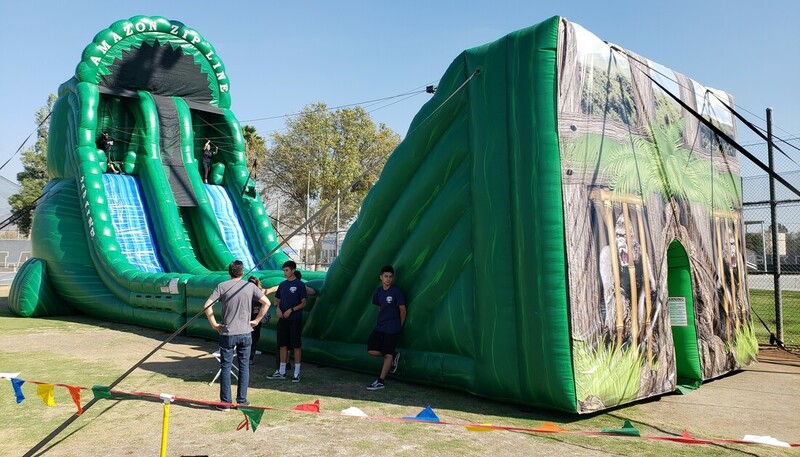 ​It's massive size and cool graphics make it an attention grabber for fundraisers, carnivals and school fun fairs. Safety is our #1 priority, all participants are harnessed in securely before they are sent down the zipline.